This limited edition is numbered from 1 to 17. 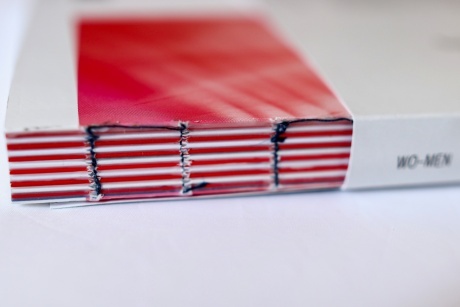 Each book has the unique combination of a photo and a print of the original pencils on a tracing paper, sealed, signed and numbered. The set is enclosed in a red envelope with a proper sticker on it. Choose your unique set when scrolling down the page. 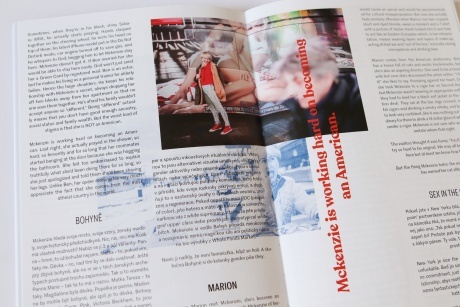 Fictional documentary book combining experimental text, photos and comics by Czech performer Miřenka Čechová as Mckenzie Tomski who has fallen in love with New York, a city where she will never stop being a stranger. 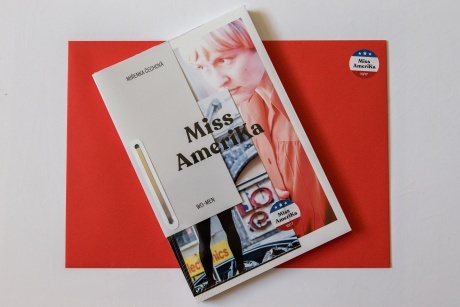 The slightly controversial "Miss AmeriKa" was written by Czech performer Miřenka Čechová.The text is accompanied by photos by Vojtěch Brtnický and drawings by Malayan artist Chin Yew. A symbiosis of experimental text, performance photography and comics, the book comes in two languages, Czech and English combined. Mckenzie Tomski, illegal New York immigrant, offers sarcastic and ruthless comments on her encounters with New York, its people and trends, as well as with herself. She likes, hates, snoops around, fucks up, fakes, imitates and lets herself be imitated, speeds up, slows down, stares, performs stand-up comedy, attempts to promote herself and has some fun with tinder. Who is she? And who has been collecting information on her? 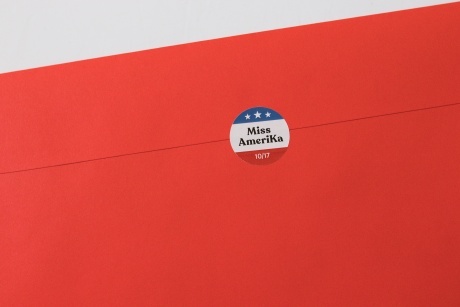 "Miss AmeriKa" is an experimental project in which the two languages are seamlessly intertwined, and connoisseurs will enjoy reading it back and forth. The book has been published by wo-men publishing. Graphic design is by Artbureau. The short stories and drabbles about Mckenzie Tomski have become the basis for a multimedia performance by Spitfire Company. This book is supported by ARCTIC PAPER.